UP Board Class 10, 12 Result 2019: The Results scheduled to be published on net are for immediate information to the examinees. Although the board has made every effort to maintain the accuracy of the results, an error may creep in inadvertently due to extraneous reasons which are beyond the control of either NIC or the concerned Institution or board or university. 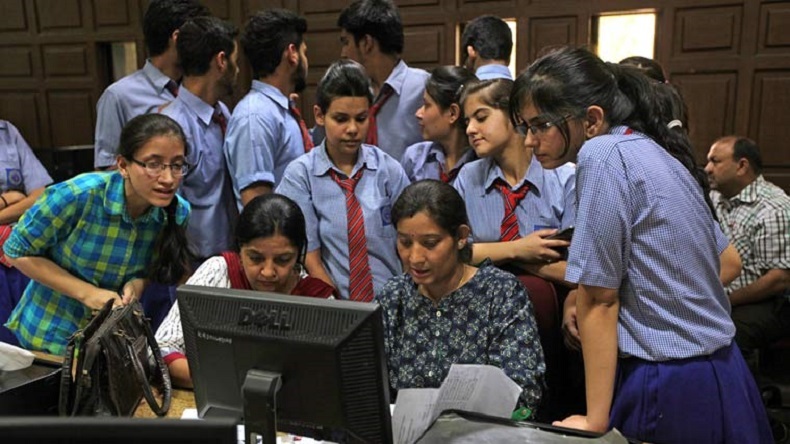 UP Board Class 10, 12 Result 2019: The Board of High School and Intermediate Education Uttar Pradesh is likely to release examination results for both Class 10 and 12 between April 15 to 25, 2019, reports said. The examination results will be released on the official websites – upresults.nic.in and upmsp.edu.in or third party websites. As many as 67 lakh candidates had registered for the UP Board Exams in 2019 which was conducted from February 7 to February 28, 2019, while the Class 12 examinations were concluded on March 2, 2019. The board conducted the Class 10th board exams in just 14 working days while it took 16 working days to conduct the class 12th board exams.